The SSE Hydro hall for musical events in Glasgow was opened in September 30 by a concert of the famous musician Rod Stewart. As a longtime fan of the music, the company Raymond Weil has become the official watch partner of this event. The models of the company were presented throughout the arena, and the chronometer watch appeared in the arena bowl for five seconds before the appearance of Rod Stewart on the stage. In addition to digital advertising, on the display during the entire show, the watch brand has also unveiled the Freelancer watch. Projection enveloped the entire auditorium and was visible at a distance of 32 kilometers. The president of Raymond Weil, Olivier Bernheim, said: “Watches and music are a lot in common, whether its inspiration, visiting musician, artist, designer and watchmaker, or the accuracy required achieving the highest standards. This experience of cooperation in the arena is the second in the past six months, after London's iconic music festival - Royal Albert Hall. We are confident that our partnership is a great success, and we already feel that this is another big step forward in shaping the global music marketing strategy." According to the commercial director of the SEC Ltd, Peter Duthie, “such a partnership is just fantastic, and chronometers could not be more appropriate, since the timing is an integral part of every show. We are pleased to welcome Raymond Weil as our official watch partner. We are happy to work with a globally recognized brand." The building is 45 meters high, which is shaped like an antique amphitheater, became noticeable landmark in the landscape of the city of Glasgow. Official site of Raymond Weil. A watch company RAYMOND WEIL has presented a new collection of watches - Toccata, which included lovely ladies watches and men's watches, characterized by elegant simplicity and inherent to the company style. Watchmaker Raymond Weil has released a new women`s watch Freelancer Lady Urban Black (Ref. 2750 -BK1- 05208). This is the first female model, completely made in dark colors and covered with black PVD coating. The new Maestro Automatic watch by Raymond Weil watch brand is made in a classic style. The case dimensions of 40 mm x 9, 05 mm is made of stainless steel. Water- resistant - 50 meters. Swiss watchmaker Raymond Weil, supporting young talents, announces the 8th International Photography Competition. 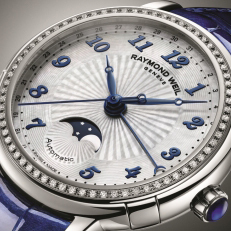 The new lady`s model from the company Raymond Weil is named Lady Maestro Phase de Lune. The watch brand Raymond Weil presents a new watch Maestro Chronograph (Ref. 4830 PC5 05658) made in a classic, elegant style. Raymond Weil released the Noemia collection in 2009. This year, the brand has expanded the collection with new models made in the classic style. The watch brand Raymond Weil will serve as the official partner of the London Royal Hall of Arts and Sciences named afte Albert. Since its opening, March 29, 1871, Albert Hall is considered one of the most prestigious concert halls in the world. Fans of classical forms and traditional materials, of course, will love the new watch Maestro Automatic date, represented by the watchmaker Raymond Weil. The Swiss watch company Raymond Weil has released a model Maestro Trois Aiguilles, made in a classic minimalist design without unnecessary elements. The famous watch brand Raymond Weil has launched a new model Freelancer Visible Balance Wheel (Ref. 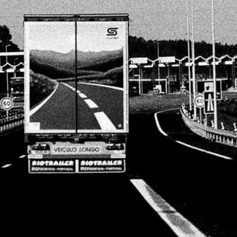 2710-SP5-20 021), made in the classic style. The famous watchmaker Raymond Weil for the sixth year with the support MasterCard BRIT Awards celebrates the national and international musical achievements of 2012. In February 2, 2013, Great Hall of the Moscow Conservatory has received winners the 7th First International Viola Competition. The famous watchmaker Raymond Weil announces a gorgeous women’s watch Jasmine Turandot Splendor, included in the Jasmine collection. The elegant watch gives tribute to the heroine of Puccini's opera, Turandot (hence the name Turandot), whose beauty rivaled jasmine. Each model of the famous watch brand Raymond Weil is original in its own way. Range of unique watches is recently completed with a unique novelty Nabucco Cuore Caldo Twelve. A new model Maestro Phase de Lune Semainier (Ref. 2859-STC-00659), presented this year by the Swiss company Raymond Weil, features seven dark blue hands, gradually moving on the dial of sky-blue. The watch company Raymond Weil has announced the seventh international photo contest. The contest starts from December 1 of this year. Registration of participants will take place from 1 to 30 November. The watch company Raymond Weil with LPI RUS and Status company has become a sponsor of the 6th international music festival "Tsarskoselsky divertissement", held in the Museum-Reserve Tsarskoye Selo, in the throne room of the Catherine Palace. It seems that the masters of the company Raymond Weil does not get tired to submit all new variations on the watches from the Freelancer line. Another variation is an Urban Black watch. Swiss watchmaker RAYMOND WEIL has presented in the current 2012 year a new version of the beloved chronograph Freelancer Steel & Rose Gold Class Ref: 7730-STC-65025. The combination of elegance, soft lines, sharp flavor with a hint of Oriental spices and something unpredictable and unexpected: this is a new line of Lady Maestro 2827 LS6 00966, presented by Raymond Weil in the current 2012 year. The watch company Raymond Weil presents a new original model. Powerful and reliable, soft and light - these are the new watch Nabucco Cuore Vivo that will make your heart beat to the rhythm of passing time. At the upcoming exhibition BaselWorld 2012 the Swiss company Raymond Weil will present a new watch model watch Maestro Quantième à Aiguille, which no doubt will be the magnificent completion of the Maestro collection. Watchmaker Raymond Weil has pleased his fans with a new model of elegant watches Maestro Lady, combining classic beauty and high technology. The elegant novelty Maestro Lady is the owner of a round polished stainless steel with soft feminine lines. The watch company Raymond Weil from 3 to November 30 holds the regular competition for photographers International Photography Competition. As usual, to take part in the contest of the famous watch brand will be able to both professionals and amateurs in the field of photography. The watch company Raymond Weil is very famous for his philanthropic activities, and especially the support of various projects related to music. Raymond Weil calls the music among its permanent source of inspiration when creating a new watch. In September 2011 the collection of the famous Swiss watch brand Raymond Weil, along with products of other brands will be exhibited on the first floor of the store, built in the beginning of the 20th century in the style of "modern".